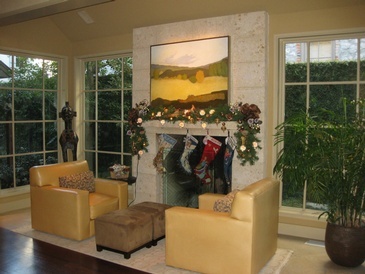 This client had a vision for a cozy Christmas decorations that were easy to pull out and put up each year. 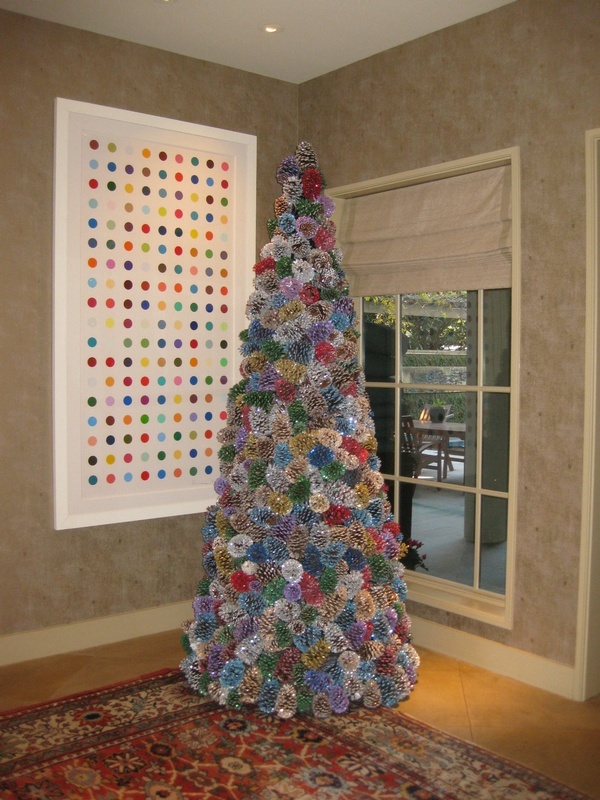 They wanted something really unique that was hand made and reflected their personal taste and whimsy. We set to work designing a Christmas tree that was very, very unique! The pinecones were collected over a span of several months from the grounds around lake house near Tyler Texas. From collecting the pinecones to glittering and assembling each one onto the frame this Christmas creation took months of work that first year, but now it’s a snap to pull it out and put it up! Viola! Christmas has arrived. Browse through the images of our interior design project: Holland Residence. Contact House of Amelia, our interior design firm in Dallas, to know more about the design services we provide at House of Amelia. 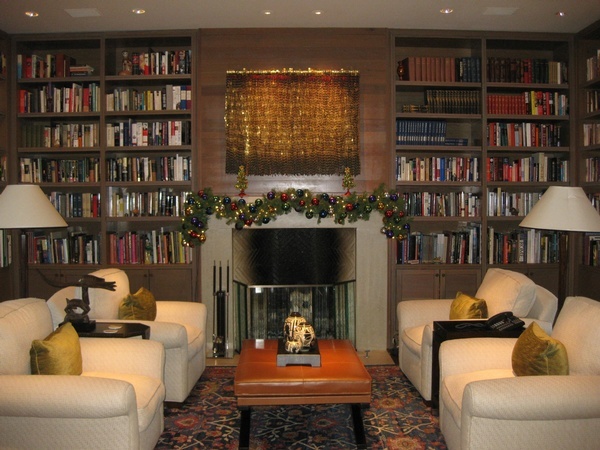 Our interior designers at House of Amelia have the unique ability to work in any design style and execute sophisticated, comfortable and beautiful spaces. Based in Dallas, House of Amelia serves Fort Worth, Preston Hollow, University Park, Highland Park, Colorado, Dallas & the surrounding areas.